Today I'm featuring more local talent! YAY! I found An Apple and a Tree through some friends on FB. 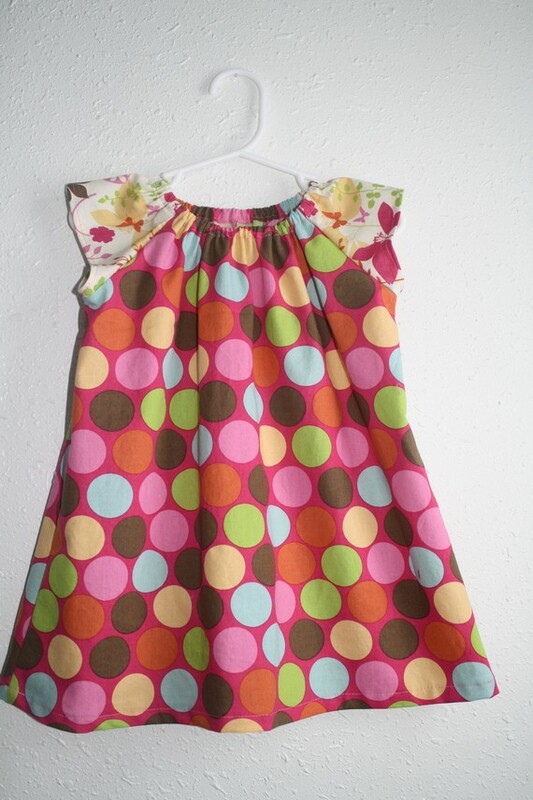 I already caved and had to buy this dress for my little sweetheart. I love the patterns/colors (again...material freak) and it looks to be a very comfortable little dress for this summer. I have to admit that I have my hands into a lot of things creative, but I can't sew a stitch. Well, I've never tried and I don't plan on it anytime soon. Good thing others who have the same taste as I do can do it for me!